Just a quick YOSHI and PEMBA update. 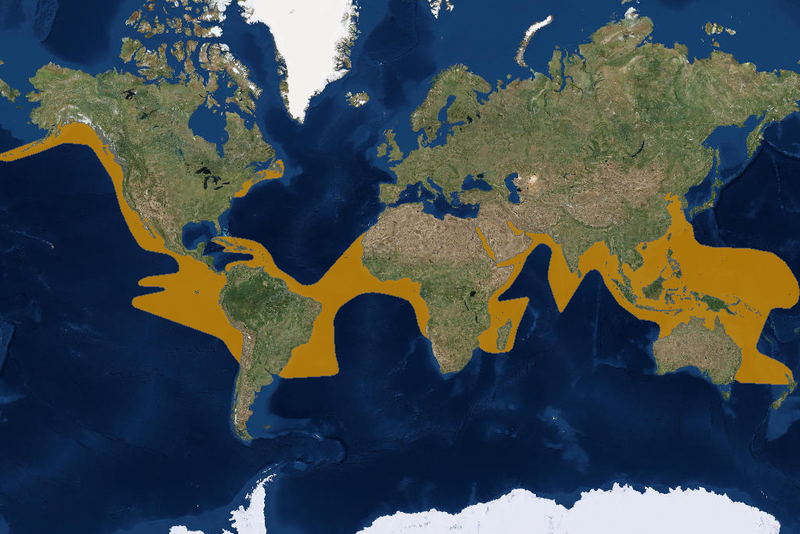 Yoshi has been traveling the Atlantic ocean very successfully for 309 days! She has crossed borders 3 times and is currently still exploring and feeding along the Walvis ridge about 750 km WNW of Luderitz. She has slowed down quite a bit (spending more time eating than swimming) and she is currently moving about 9 kilometers per day. July was her swimming month – this was just after she turned around half way up the Angolan coast, and she covered 1262 kilometers in just one month! That is 40 kilometers per day! In total Yoshi has traveled just over 7500 kilometers with an average, since release, of 24 kilometers per day which remains very impressive. She continues to swim against the current (which is at about 0.72km/h from the SE at the moment) and she is also swimming against a rather strong 30km/h wind! Pemba on the other hand is cruising with the currents and wind – and is about 147 kilometers east of Yoshi and heading towards the Walvis ridge as well. Pemba is about 617 kilometres WNW of Ludertiz. She has traveled a remarkable 8040 kilometres since release 226 days ago, so she is averaging about 35 kilometers per day. She is a true smart swimmer – making very good use of currents. Both turtles are in about 17.5’C water – not quite as warm as they generally like, but they are clearly doing well even at this temperature. It is amazing to see how their paths have crossed quite a few times actually! Yoshi was released on the 16th of December off Cape Point – her journey up the West coast is in green, with her return journey in yellow. 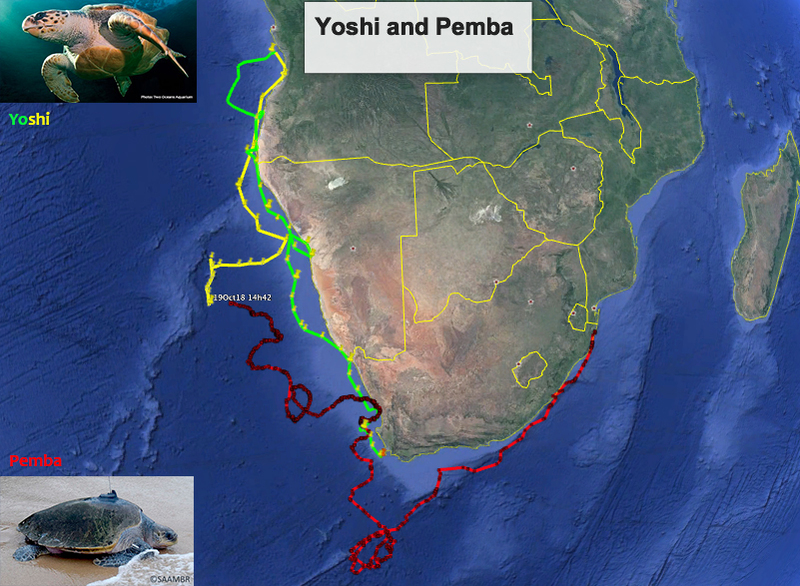 Pemba was released off Mabibi KZN on the 8th of March – her journey is in red. They are only 147 kilometers apart.